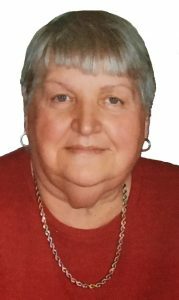 Lois Ann Napier, 76, of Bellwood, died Wednesday, July 20, 2016 at Bryan LGH East in Lincoln. Lois was born March 19, 1940 in Platte county, Nebraska to Lammert and Alice (Brunken) Holtkamp. She graduated from Kramer High School in Columbus. On March 25, 1977, Lois was united in marriage to Jack Napier at the Bellwood Methodist Church. She had worked at BD's in Columbus and later did babysitting after moving to the farm near Bellwood. Lois was an active member of the Bellwood Methodist Church. Lois was a very avid Nebraska Cornhusker sports fan, Kansas City Royals fan, and loved horse racing. She was also known for taking care of her special brother-in-law "Tuffy". Lois is survived by her husband Jack of Bellwood, Sisters Marie Klug of Columbus and Arlene Hajek of Schuyler, sister-in-law Joyce Holtkamp of Columbus, Many loving nieces and nephews. Honorary family members, Jim and Cindy Kallenbach of David City, Kylee Carstens of Columbus, Adam and Alex Kallenbach of Omaha. She was preceded in death by her parents, Brothers Melvern and David, brothers-in-law Gene Napier, Kenneth Klug and Don Hajek, sister-in-law Evelyn Holtkamp, niece Lisa Marie Holtkamp, nephew Jimmy Hajek.